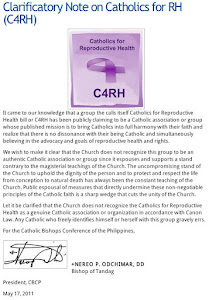 The Catholic Position on the RH Law: RH bill: Closing the demographic window of opportunity? 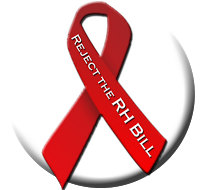 RH bill: Closing the demographic window of opportunity? IS A LARGE population a boon or a bane? The debate has been going on for centuries. 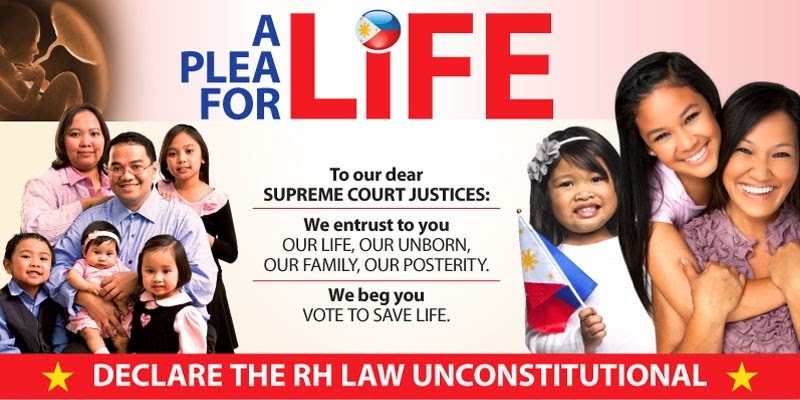 In the Philippines, it flares up whenever lawmakers take up bills proposing to control population growth. In recent months, however, the government’s top economic managers — echoed by a number of private-sector analysts — have cited the advantages of the country’s demographic profile, changing the tone of the population debate. Last March, Bangko Sentral ng Pilipinas (BSP) Governor Amando M. Tetangco, Jr. told the Philippine Investment Forum that the Philippines would be the last major economy in Asia to enter the “demographic sweet spot,” and this would happen by 2015. In May, Finance Secretary Cesar V. Purisima said a huge working population was expected to accelerate economic growth. The BSP chief pointed to the Philippines’ young population, which, at a median age of 22.2, is even younger than neighboring countries like Malaysia (25), Indonesia (27.8), and Vietnam (28.2). The central bank’s pronouncements are based on the United Nations (UN) publication World Population to 2300, which spoke of a “demographic window” — a period of high economic growth brought about by a bigger number of people entering the productive ages of 15 to 64. “Societies [that] have entered the demographic window have proportionally large working-age populations and relatively light dependency burdens, and therefore the demographic potential for high economic growth. This period … has been characterized as a ‘demographic window’ of great economic possibilities, because of the bonus of a favorable age structure,” the 2004 UN report said. It cited the work of David Bloom, David Canning, and Jaypee Sevilla, which said the population debate had been mostly centered on size and growth, with little attention given to age structures. Their discussion of the “demographic dividend” lent a refreshing balance to the otherwise gloomy predictions of Thomas Malthus, the classical economist, and Paul Ehrlich, famed author of the influential 1960s book The Population Bomb. Bloom et. al. noted that the demographic dividend from a huge working population was responsible for at least a third of the previous century’s East Asian economic miracle. The Philippine demographic window is expected to open by 2015, and would last until 2050, according to the UN report. During this period, the working-age population would be significantly larger than the population of dependents — those below 15 and those aged 65 and above. This is a result of declining population growth and fertility rates. The window opens “when the proportion of children and youth under 15 years falls below 30% and the proportion of people 65 years and older is still below 15%,” said the UN. 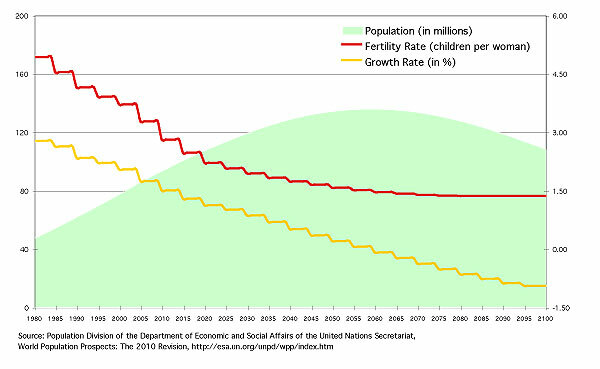 The UN has since updated its population projections. Based on the new estimates (the "low" variant) released last year, the young population will hit 30% between 2015 and 2020. The proportion of people aged 65 and above has long been below 15%, and is estimated to be at just 4.1% of the total population by 2015. In 2015, the working-age population is estimated to reach 63% of the total, hitting a peak of 69% by 2040-2055 (see Chart 1). The dependency ratio — expressed as the number of young and old dependents for every 100 persons of working age — will decline to 59 in 2015 from 64 in 2010, and all the way down to 45 by 2050 before picking up again as the population begins to age (said to be when those 65 and above reach a tenth of total population). The central bank is expecting an extended period of high gross domestic product growth during the 35-year demographic window, noting that the economies of countries that had entered the phase grew by an average of 7.3% in the first decade alone. What about total population? 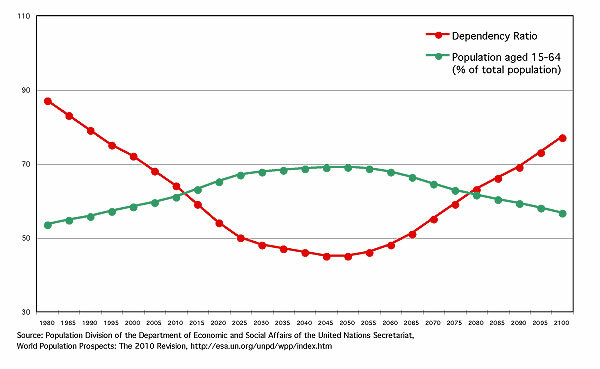 Based on UN data, the fertility rate will fall from 2.8 children per woman in 2010 to only 1.35 in 2080, below the so-called replacement rate of 2.1 (see Chart 2). Population will peak at 135.53 million in 2059 from 100.47 million in 2015. In 2060, it will start declining.